Alejandro Villanueva has been fighting for an opportunity to prove that he is more than a retired Army Ranger; he’s a highly capable NFL player. After stints with the Philadelphia Eagles, Chicago Bears, Cincinnati Bengals and Pittsburgh Steelers, Villanueva has made a strong case for taking over the offensive line position vacated by Pittsburgh’s Mike Adams in 2015. The Steelers were aware that Adams had required surgery on his back before training camp. It was an injury that seemed to persist and has limited Adams’ ability on the field. The Steelers felt the reasonable move would be to place Adams on the reserve physically unable to perform list, a situation that limits Adams from being able to participate with the team through the first six weeks of the regular season. Behind Marcus Gilbert and Kelvin Beachum, Villanueva has given one of the best preseason performances at offensive tackle. Some argue that his play has, at times, been respectively more disciplined that that of Gilbert. With the skill to play on either side of center, Villanueva looks to be a lock for a final roster spot (unless the Steelers opt not to carry an additional offensive tackle in 2015) as the team works its way through cuts to get down to their best 53 players. 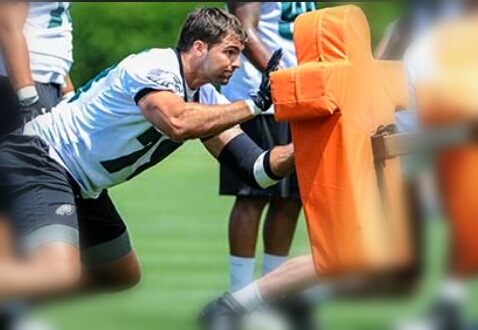 Be the first to comment on "Steelers Alejandro Villanueva looks to slide into Mike Adams’ spot"